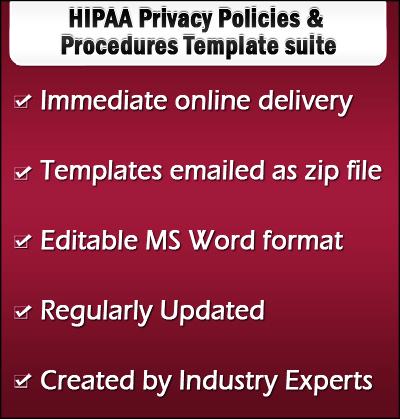 The templates suite includes following HIPAA Privacy Form, Policy, and procedures. The templates are available at our online HIPAA store for purchase. 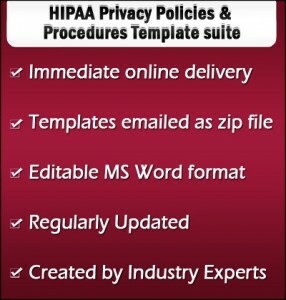 All the templates come in Microsoft Word/excel files so you can add, change and delete content as required to complete your HIPAA Privacy policies.